Finding us is extremely easy. 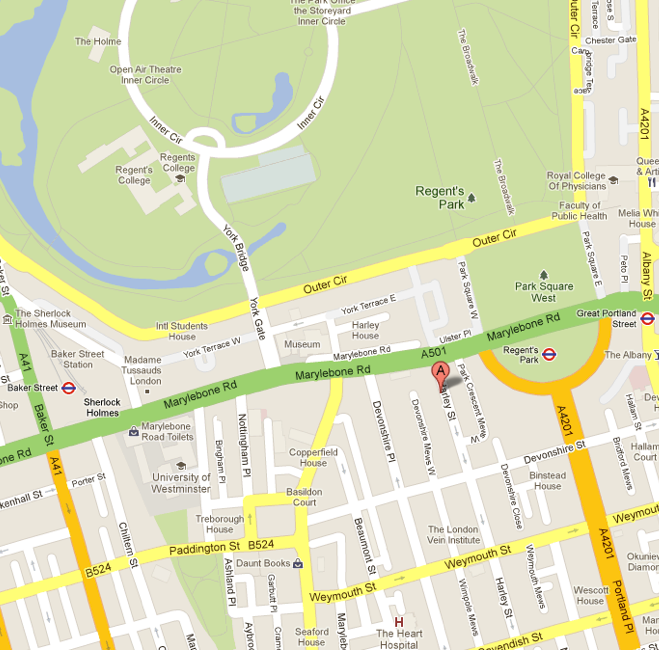 We are within walking distance from many of Central London’s main transport hubs. National Rail includes Euston, Kings Cross and St Pancras International stations. Underground stations close by include Regent’s Park, Baker Street, Great Portland Street and Euston. We are also well served within the London bus network. If you require any assistance finding us please contact us. Please click on the map below if you would like to see a larger version of the map.